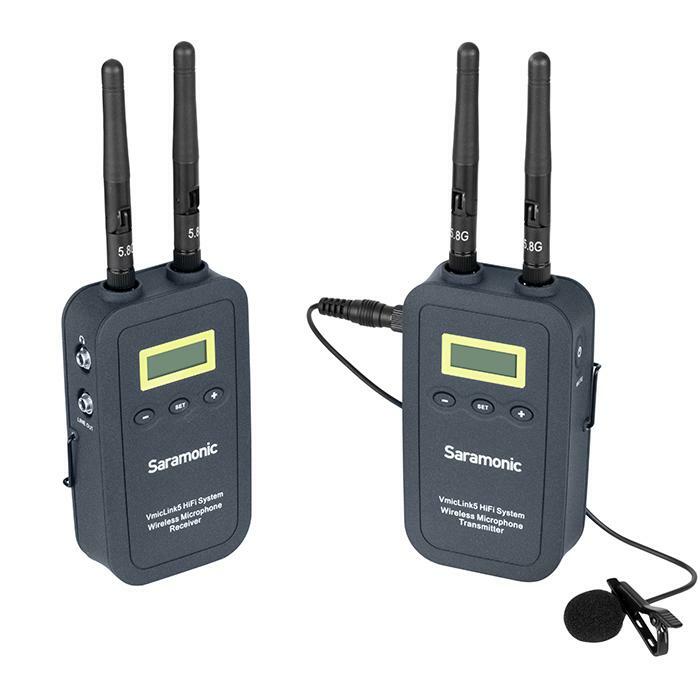 The Saramonic VmicLink5 RX5 + TX5 is a portable camera-mountable UHF wireless microphone system that delivers premium, broadcast-quality sound -- and it does most of the work for you. The system works flawlessly right out of the box. Just plug in the mics, turn on the power and go. Scanning to find the best channel and syncing the transmitter and receiver all happens automatically, so you get more time to concentrate on your shoot. If it detects potential interference, it automatically switches . . . .